Henry Eichman previously pleaded not guilty to 16 counts of child sexual abuse in Sagadahoc County, and now faces two separate counts in Cumberland County. The former leader of a youth theater group and part-time teacher in Brunswick pleaded not guilty Tuesday at the Cumberland County Courthouse in Portland to two counts involving child sexual abuse. 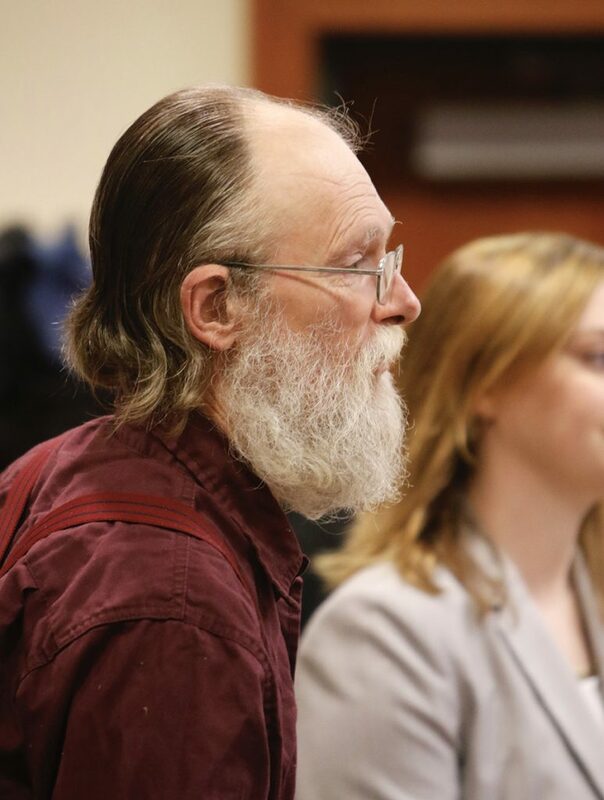 Henry Eichman, 56, of Topsham also faces 16 counts alleging child sexual abuse in Sagadahoc County. Most details on the latest charges against Eichman have been removed from his case file in Cumberland County Superior Court, but it does say that the alleged victim was a student. Eichman was a part-time teacher at St. John’s Catholic School in Brunswick. The alleged abuse occurred Sept. 8, 2016, and Eichman was arrested the following day in Topsham after police executed a search warrant at his home. He initially faced six counts in Sagadahoc County, was indicted on seven counts and then arraigned in January on 16 counts as more alleged victims came forward. Officials at the school referred questions about the case to Dave Guthro, spokesman for the Roman Catholic Diocese of Portland. Guthro declined to comment because the situation involves a criminal investigation. Because the alleged victim is 11, Eichman could face up to 10 years in prison if convicted on the charge of unlawful sexual contact. The other charge he faces in Cumberland County is a slightly lesser offense of unlawful sexual touching of a child under the age of 12. In Sagadahoc County, Eichman’s alleged victims were apparently all involved in Midcoast Youth Theater, which he helped found in 2003 and where he continued to take part in some productions as recently as last year, although he was no longer on the board, said Julie Meyer, who currently chairs the youth theater’s board. Rehearsals and productions are at schools, primarily in and around Topsham, she said, and the theater has a policy of having at least four adults at all events. But according to court documents, the alleged abuse in Sagadahoc County occurred at Eichman’s home in Topsham. A parent in Sagadahoc County first reported allegations of abuse against Eichman last August. Eichman has also pleaded not guilty to those charges. Eichman was released on personal recognizance after entering his pleas Tuesday in Portland. He is free on $5,000 cash bail in Sagadahoc County. Superior Court Justice Paul A. Fritzsche on Tuesday also imposed the same conditions on Eichman as those put in place by a court in Sagadahoc County, including no contact with the alleged victims and no contact with anyone under the age of 18 except for supervised visits with his grandchildren. Eichman and his attorney, Annie Stevens, both declined to comment after the short court hearing. In Sagadahoc County, the alleged victims said Eichman either touched them inappropriately or secretly took photographs and videos of them at his home in Topsham. For instance, the children said that during pool parties, Eichman had them use a bucket placed outside to go to the bathroom because he didn’t want them tracking water inside. One child said she saw what appeared to be a video camera with a blinking red light recording her. The children also said that Eichman hosted sleepovers at which he told them they weren’t allowed to wear underwear. One child said that when she woke up at night, Eichman was pretending to be asleep on a couch in the living room while the children slept on the floor and he was taking photos of them . Members of the youth theater’s board said they didn’t conduct background checks of adults involved with the program because staff members were all employed by schools, which are required by law to perform background checks on employees. At St. John’s Catholic School in Brunswick, Eichman taught part time and helped out with an after-school program, the Roman Catholic Diocese of Portland said after his arrest. State records indicate that Eichman has no prior criminal record in Maine, and the diocese has said previously that it had conducted regular background checks on him, the last with the Maine Department of Health and Human Services in July 2016 and a nationwide check done in 2013. The Midcoast Youth Theater, based in Brunswick, has continued to operate. Eichman had been featured prominently on the group’s website, but references to him have been removed. Meyer said the theater board held a meeting for parents shortly after Eichman’s arrest to air concerns and talk about how the organization could move forward. She said the fall presentation of “Beauty and the Beast” had more than 100 children involved in the show.